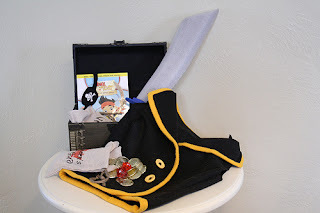 Sweet Little Smoothie shared this Pirate Kit that she gave her little Pirate for Christmas. I know "Mini Me" loves Jake and the Pirates too, which thrills me comsidering he now considers himself a " big boy" and only likes the shows his older brothers likes. So this kit would be a great gift to remind him of the fun of being 7 still. It's so fun, it would make a great party favor or gift at a Pirate party too! 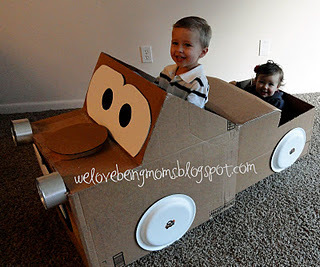 We Love Being Moms shared how to make this Mater Cardboard Car. Cars is such a big party theme still that this Mater car would be perfect for a fun activity at a party. Can you see the kids all sitting in these and watching one of the movies? Or letting the kids decorate them as a party activity? What a big hit that would be! 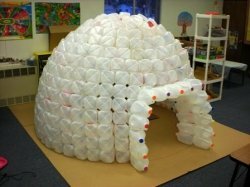 I found this Milk Jug Igloo from Squidoo on Pinterest. It takes ALOT of milk cartons but would it be so much fun to have at a snow party! Or you could make it and use it inside this winter as a fun play room for your kids. 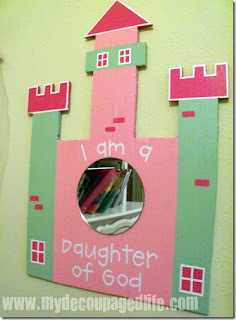 My Decoupaged Life shared this Castle Mirror. I absolutely LOVE the saying on this mirror. What a great way to remind your daughter that she is a royal princess of God. This idea would also make a great party favor at a Princess birthday. Hostess with the Mostess shared this Yarn Chandelier. 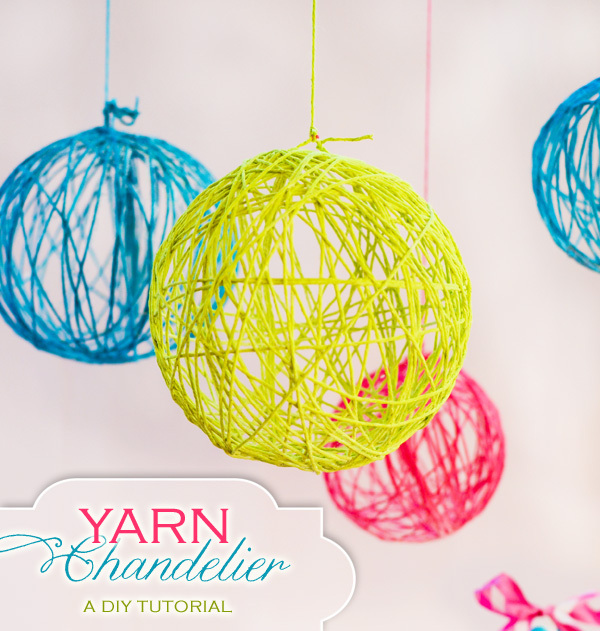 I loved making yarn ball lights for my Tinkerbell party, and the colors and fun in this chandelier would be such a fun backdrop and addition to any party.